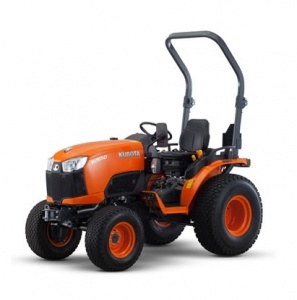 Ideal for a wide variety of jobs, this tractor benefits from class-leading levels of comfort and user-friendliness, yet doesn't skimp on performance, utilising a powerful Kubota diesel engine. 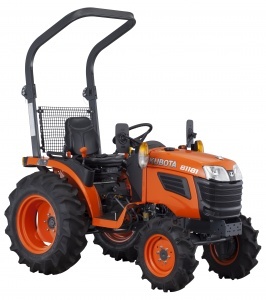 This compact utility tractor from Kubota is new for 2017, and boasts a three-cylinder water-cooled diesel engine, rear rollover protection (ROPS) plus a top speed of 24.5 km/h. 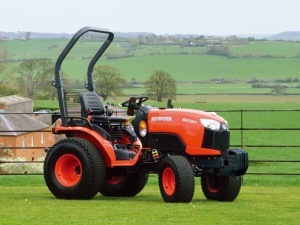 A compact tractor from Kubota with outstanding levels of performance, reliability and fuel economy, backed up a powerful yet economic 26 hp Kubota diesel engine and a choice of manual transmission or HST. 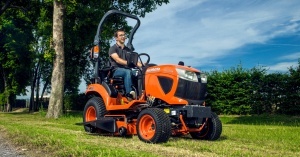 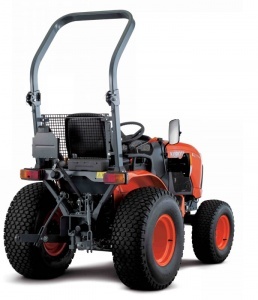 With a three-cylinder water-cooled diesel engine, hydrostatic transmission and a top speed of 24.6 km/h, this new compact utility tractor from Kubota is a versatile and high performance machine. 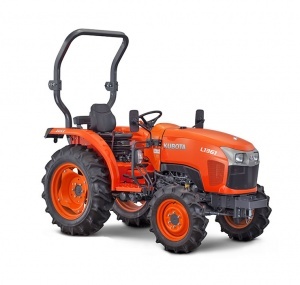 Boasting a powerful 4-cylinder diesel engine, hydrostatic transmission with three ranges, plus rear and ventral PTO with high hydraulic capacity and power lift, this is an exceptionally versatile compact tractor.